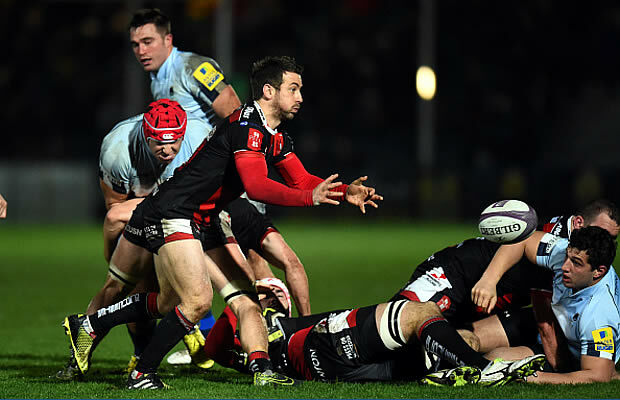 Saracens held on to beat Premiership strugglers London Welsh 15-20 in the Anglo Welsh LV=Cup at the Kassam Stadium on Sunday. The London side played a friendly match against South African Super Rugby side the Bulls on Saturday and a number of their stars were away on England duty so they had to field an under strength team. 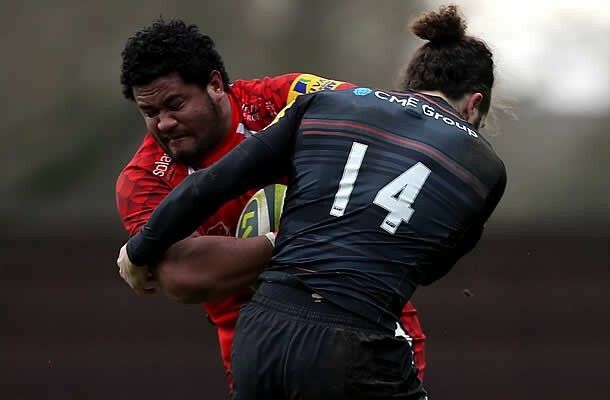 London Welsh came within a whisker of their first win of the season against an almost 3rd-string Saracens outfit given their internationals were away and they face the Bulls on Saturday. Giant number eight Opeti Fonua scored twice for Welsh, with fly-half Tristan Roberts adding the remaining points as they led 15-14 going into the final quarter. But Saracens wouldn’t be denied, scrum-half Ben Spencer proving to be their hero when he knocked over two penalties in five minutes with time running out for the victory. Spencer also scored one of his side’s two tries, Jared Saunders getting the other in a memorable victory for Saracens’ youngsters on display. London Welsh: 15 Elliot Kear, 14 Alan Awcock, 13 Tom May (c), 12 Olly Barkley, 11 Nick Scott, 10 Tristan Roberts, 9 Rob Lewis, 8 Opeti Fonua, 7 Carl Kirwan, 6 Ben Pienaar, 5 James Down, 4 Ben West, 3 Taione Vea, 2 Koree Britton, 1 Nathan Trevett. Replacements: 16 Nathan Morris, 17 Eddie Aholelei, 18 Ben Cooper, 19 Dean Schofield, 20 Richard Thorpe, 21 Alex Davies, 22 Will Robinson, 23 James Lewis. Saracens: 15 Catalin Fercu, 14 Mike Ellery, 13 Max Wilkins, 12 Threttom Palamo, 11 George Perkins, 10 Nils Mordt (c), 9 Ben Spencer, 8 Nick de Jager, 7 Matt Hankin, 6 Hayden Thompson-Stringer, 5 Jack Tredrea, 4 Kennett O’Neil, 3 Biyi Alo, 2 Jared Saunders, 1 Jack Culverhouse. Replacements: 16 Josh Taylor, 17 Ralph Adams-Hale, 18 Ben Featherstone, 19 Hamish Hamilton, 20 James Stockdale, 21 Tom Whiteley, 22 Henry Staff, 23 Max Malins.